Darwin Global, LLC was launched in 2012 to house four growing organizations Smart Horizons, Smart Horizons Career Online Education, NexPort Solutions, and Dialogex. Smart Horizons is an online education provider and software development company that is changing the face of online learning, employee performance evaluations, and dispatch emergency response on a global level. Smart Horizon's serves organizations and individual learners around the world by meeting their education, training and workforce competency goals through a secure, proprietary learning management system and software environments. Our cloud-based family of software solutions and education products make it easy for organizations to define and individuals to master desired outcomes. Smart Horizons has been developing and supporting commercial products since the early 2000s. The software development teams have always worked closely with partners and customers to create cost-effective, customizable solutions that meet their exact needs. As a result, Smart Horizons and NexPort Solutions have generated long-term relationships with partners and affiliates. Because of the tremendous work done by those in years past, the company is experiencing phenomenal growth. Smart Horizons now serves learners and partners in every state of the union and in dozens of countries around the world. Customers and partners consistently find that the existing training, curriculum development, learning management services and public safety software bring decades of industry expertise that enable the highest levels of professionalism and performance. Smart Horizons Career Online Education (SHCOE) is the first private, national online school district in the United States. Our core competency is designing, building and managing affordable, career-based online high schools for students around the world. Founded in 2009 and located in Pensacola, Fla., SHCOE develops career-based high school diploma programs that are designed to prepare students for entrance into the workplace. SHCOE offers career-credentialed certificate programs for the most in demand careers, such as healthcare, early childhood education, transportation services, criminal justice, office management and homeland security. Students graduate with both a high school diploma and coursework completed toward earning a career-credentialed certificate. In addition, SHCOE's customized online high school programs provide students with an opportunity to learn at their own pace, as they manage their day-to-day lives. 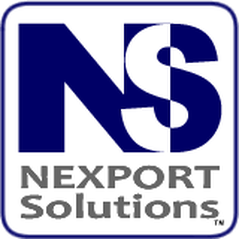 NexPort Solutions provides innovative, cost-effective online training, education and software solutions and support for federal, state and local governments, as well as the private industry. NexPort Solutions allows customers to move forward quickly, sparing them the burden of technology ownership and upkeep while empowering them with innovation, resources and flexible deployment alternatives for their online training and education operations. NexPort Solutions offers three flexible, high-quality, software products: NexPort Campus, NexMeeting and the latest software development: NexPort Reporting Services. NexPort Campus is a learning and knowledge management system that allows customers to present online training with little effort. NexPort Reporting Services provides our partners with custom reporting to help them better manage their sections and students enrolled in their sections. This latest addition provides administrators and instructors with the ability to view both the pace of a student and the completion of a section by a particular student. NexMeeting is a web-conferencing system that allows our partners to present materials and collaborate on important project. Smart Horizons, SHCOE, and NexPort Solutions were all previously housed under Advanced Systems Technology, which was developed in 1984 as a software engineering firm specializing in information technology and the development of computer-based instruction and training. ​DialogeX conducts interactive, research-based, professional development programs in conjunction with university partners and professional organizations. Our programs are delivered on the NexPort Campus Learning Platform. This allows participants to use the mobile technologies they already use in their everyday lives. The programs use video case studies, peer-to-peer collaboration, and one-on-one coaching. They are also job-embedded — they guide participants to develop expert solutions to problems they face in their workplaces.